Someone pinch me! 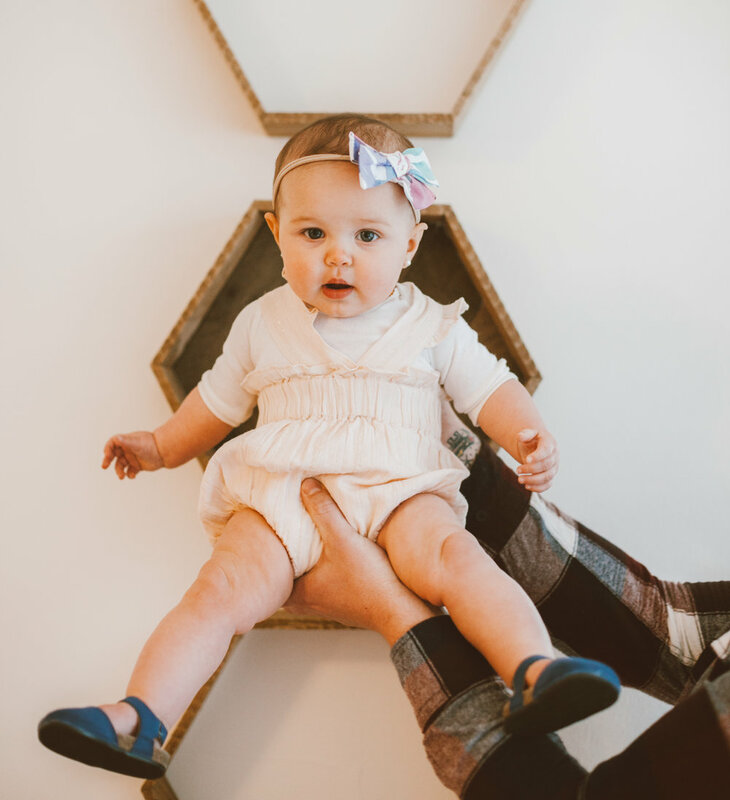 S I X whole months of our #dreambabypearl have come and gone and I can't even handle it. It really feels like just yesterday she came into our lives. If I tried to describe her she would be like the warmest summer breeze on the most perfect sunny day. Just lovely enough to give you some relief from that hot sun and soft enough to make you feel all the feelings. I'm so blessed by her each and every day, I can't believe I had this peaceful Pearl in my belly for 9 months. Especially if you know me, and what a strong personality I have. At 6 months old she is trying hard to sit up by herself and thinks her sister is hilarious. I'm guessing she is somewhere in the 15lb range and she's about to go on her 6th flight next week. She adores her papa, as soon as she hears his voice she is all smiles and it melts me. She has two teeth and is working on a few more. She's been baby talking so much, we are going to have TWO talkers on our hands and often joke how we will never get a word in. She loves to nurse and we will be delaying solids like we did with Olive. She likes to give babysitters a little bit of a hard time but is so dang squishy I think those cheeks make up for it. I'm so happy that we get to learn more about her each day! She fits in with our family so well and is such a great reminder to take a deep breath and be more chill like her.